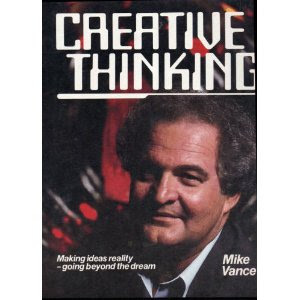 In the mid '70s I paid my own way to the Mike Vance Institute of Creative Thinking Seminar. The cost was prohibitive, probably $15,000 in today's dollars. I was the only attendee paying their own way, all the others were funded by institutions. I have been repaid so many times over for my investment in myself. Mike Vance, originally a Church of Christ Minister from Columbus, Ohio, was the genius who created Disney Land. He developed the "PLUS IT UP" thinking and STORY BOARD management. Right behind me, in my office, is my story board. Look it over, feel free to "Plus It Up". 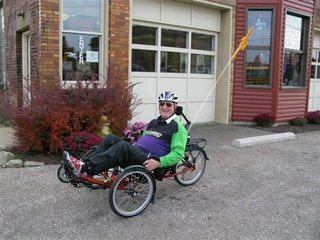 Although the trip is still four and a half months away, I am working dilgently planning my cross country trike ride. I want to end up in Simi Valley, California to visit a high school class mate over the Memorial Day weekend. I have so much to do. First of all, I must get myself into shape for the trip. Twelve months into an eighteen month recovery from a total replacement of my left hip, I still depend upon a cane for stability when walking. I am confident that I can regain my strength and stability in time for the trip, but it is a challenge. I also need to lose the weight gained from two years of inmobility. Then, I haven't rode my trike since returning from an aborted cross country ride a couple years ago. I've got to get down to Cincinnatti for my son, Todd, to "sort out" my ride. Nothing big, but a whole lot of important little. I really like my trike and have got to use it very little because of my left hip going bad. The hip replacement delayed my riding even longer. Thankfully, I can see the light at the end of that long tunnel! No small thing, indeed, the motor has gone out on my van. 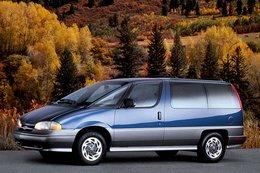 I could replace the van but don't want to do so. I really like it, and, I have already invested a meaningful amount to upgrade it. I look forward to driving it to Alaska next year. It has a fiber glass body and will look good for the rest of my life. Of course I could just take from our savings and kick out the $1,500 or so to replace the motor, but we have savings because we don't do things like that. Repair of our cars, we have three, is made from cash flow. As for cash flow, I just got over Myrtle Beach in time for Christmas and now it is Bed and Breakfast time. So, there's that. I love the good life! As I studied out my trip on my 2012, old style, GPS, I saw that I would be going right by Arches National Park. I've bet I've drove by that park at least a dozen times but, due to time constraints, have never stopped. Just a few miles further are Bryce Canyon and Zion National Parks. I have been to both and I'd love to revisit them. 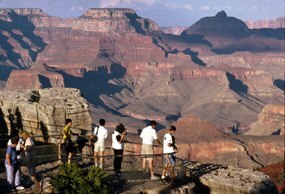 In the same general neck-of-the-woods is the Grand Canyon National Park. I thought I'd like to spend at least a couple days each in the first three and a week at the Grand Canyon. 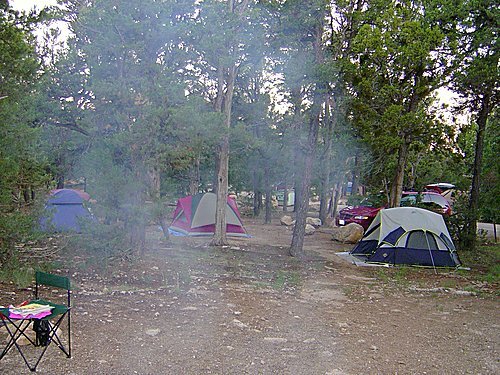 Camping, with no time constraints, I can do that, no sweat. I've camped for a month at a time in the wilderness. PLUSING lT UP, PLUSING IT UP! ﻿So, I thought, instead of a CROSS COUNTRY BIKE TRIP, I'd do a CROSS COUNTRY TRIP WITH BIKE. Then, I looked at my routes from bike trail to bike trail. I had already realized that the Couer d'Alene bike trail, in the northwest corner of the country, should be put off until my Alaska trip. It immediately became clear that the zig zagging around the country was going to make my three or so week time frame for this trip impossible if I spent any time at the National Parks. Next, I weighed the joy of the bike trip, with all the difficulties involved, and the joy of just making a cross country camping trip, without the trike, to the National Parks. It was an easy choice. The trike stays home and I cruise across the country in style in my Lincoln Town Car. A lot of problems solved with one simple decision. 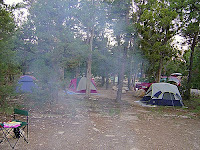 There are many campgrounds in the Grand Canyon. I've stayed in several but the Mather Campground is my favorite. I can tent camp there for only $9.00 a night. Can't beat that with a stick. A whole week will cost me only $54.00. The problem? Reservations are encouraged for at least six months in advance. I've worked out my dates and it looks like I'll be there by May 18th, before school lets out so I hope I can get a site reserved. WHAT NEW DIFFERENT AND EXCITING DO YOU HAVE PLANNED? You really can You Know!